Your loved one is vulnerable. She can’t take care of herself, and you made the best decision that you could for her care. You trusted her nursing home to take care of her, but that doesn’t seem to be happening. Instead, your loved one’s physical or emotional health seems to be declining and you are worried that the nursing home is actually hurting her instead of caring for her. 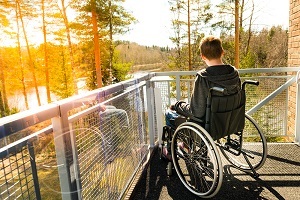 Your loved one’s disability may keep her from reporting the abuse to nursing home staff, or to you, but there are signs of potential abuse that you might recognize so that you can take action to protect your loved one. Behavioral changes. For example, your loved one may be suddenly afraid to be alone or fearful of seeing other people. Emotional changes. Your loved one may be withdrawn, crying a lot, angry more often than usual, or she may not show her typical range of emotions. Physical changes. This may include (but is not limited to) bruises, unexplained weight loss, bedsores, or broken bones. It may also include poor hygiene. If you notice any of these signs of potential abuse or neglect in your loved one, then you need to know why they are happening and what to do next. If your loved one is in immediate danger, then please call 911. After that, please contact our experienced nursing home abuse lawyers. We can explain all of your options to you and help you take responsible actions to protect your loved one’s rights.